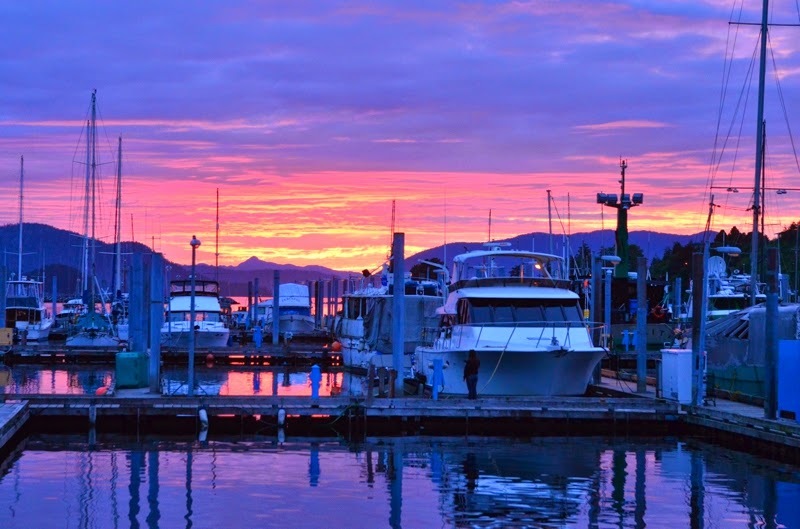 Cleaning, catching up on email and work, and boat projects occupied my time in Sitka. I changed the engine zincs, filled up propane and dinghy gas tanks, and installed the new alternator. The alternator project was the most time consuming. I called the Cummins shop on Monday morning and they said they didn’t have the part but wouldn’t have any trouble getting it. They sent a mechanic out to the boat to confirm which alternator was needed. After not hearing anything by Monday afternoon, I called the shop. They informed me they couldn’t have the alternator until the end of the week. With guests flying in tomorrow, that was unacceptable. My backup plan was to have dad bring a new alternator up from Seattle. I called Cummins Northwest and they had the alternator in stock. Dad ran down to Renton, picked it up (and a new pulley), and flew with them up to Sitka Tuesday. I’d already pulled the old alternator off, and the new one went in easily.